90 Day Diet Free - Lose Weight mobile application helps you to maintain your diet plain in order to shed some pounds of weight. There are no side effects if you want to lose weight and want to make your self-health with good body physique then use this diet plain. 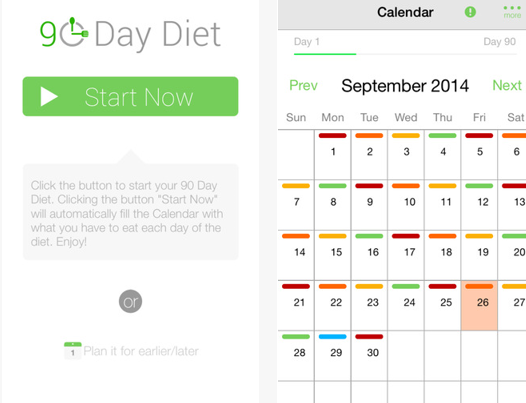 This app works to lose your weight and it is trustful. This app is not only to lose weight but this app has also trackers such as diet tracker, weight trackers and your meal plains too. It has a well-organized schedule of each single day. After only a few days, you feel yourself with an improved metabolism and the first pounds disappear. Your energy will increase enormously. This application allows you to read content of Diet plan that work.